Beautiful by Estée Lauder is an incredibly special fragrance to me. For the majority of my childhood it was my mother’s signature scent, she wore it with abundance and despite the fact that she no longer wears it, I will always think of her when I smell it. In her Scented Life, my mother said of Beautiful; “It felt decadent to wear”. Decadent? Yes. Beautiful? Absolutely! Launched in 1985 and created by Sophia Grojsman, Beautiful is described by Estée Lauder as “the fragrance of a thousand flowers” , and it is an exceptional example of a big floral bouquet, something that the Lauder brand seems to specialise in. I would classify Beautiful as a floral chypre, it’s a wonderful blend of heady florals and rich, mossy base notes. 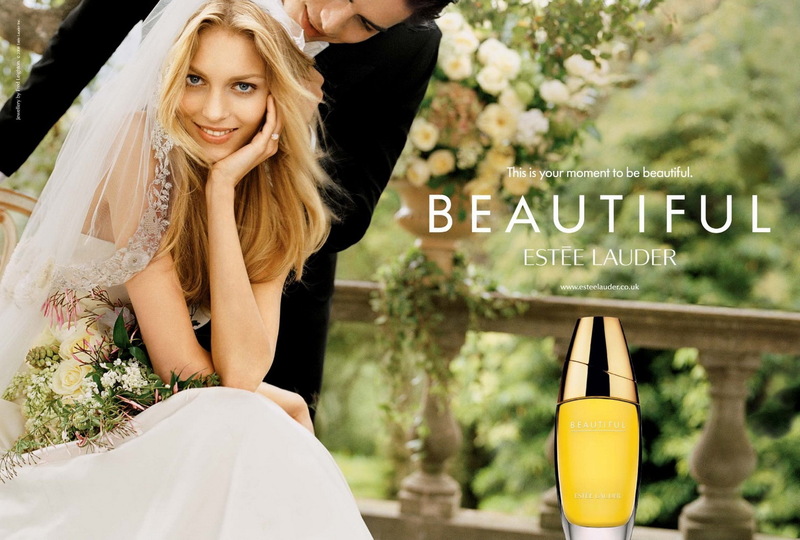 Beautiful has always been marketed as Estée Lauder’s bridal perfume and I can see why, it is completely romantic and there is a young innocence to it that conjures up images of beautiful brides draped in white. Despite it’s obvious bridal connotations, it isn’t exclusively bridal, it is wonderful enough to be kept only for special occasions but also works perfectly well as an everyday perfume. Beautiful is one of those perfumes that would make a good signature scent, not that I’d EVER dream of having one of those, I’m too greedy! I always find it hard to review the classics, it’s difficult to do them justice whilst attempting to showcase them in a new and interesting way. Beautiful is especially hard to write about because I can’t think of it objectively, I have too much of an emotional connection to it. That said, despite my emotional connection, it is a perfume that I also appreciate from an olfactory perspective, and I truly believe that it it is more than a classic, it is a legend. It it so legendary in fact that it is rumoured that Andy Warhol was buried with a bottle. Despite having no fruit notes listed within the top notes, Beautiful opens with crisp, fresh orchard fruit. There are sweet apples, green pears and juicy blackcurrant, all of which are offset by green, and slightly bitter galbanum. Of course, being an 80’s floral, Beautiful has to have a good slug of aldehydes and it doesn’t disappoint, the aldehydes are suitably fizzy, sparkly and luminous. What makes Beautiful so, well, beautiful, is the big bouquet of white flowers at its heart. Grojsman has cleverly created an abstract bouquet that isn’t easily identifiable as a single flower. Rose, tuberose, lily, muguet, jasmine and ylang-ylang each play a part, adding something of their own (spice and dust from the rose, sweet rubbery petals from the tuberose, light salty indole from the lily, green stems from the jasmine and hot camphor from the ylang-ylang) to the bouquet. It is euphoric in its beauty, complex in its structure and wonderful in its effect. It may sound like that Beautiful is a bit too much with lots going on, and it definitely is a strong perfume with a distinct signature, but the heady sweetness of the florals is tempered by the warmth of a chypre base. Beautiful isn’t a chypre in the same way that Mitsouko is a chypre, it’s much lighter and floral, but it does have a good degree of moss and patchouli in the base. A touch of sweet tobacco livens things up and prevents the base from becoming to dark and heavy. Beautiful lasts for hours and the sweetness of the florals mixed with the warmth of the base is really something to behold. I have read many reviews of Beautiful, in which the author has commented on how it now smells dated, I’m afraid that I have to respectfully disagree. I adore Beautiful, both on a sentimental and olfactory level. It is a timeless perfume, it will never smell old, it will never smell out of date or out of fashion, it will simply always be ‘Beautiful’. Beautiful is available in 30ml, 75ml and 100ml Eau de Parfum and prices range from £34-£68. Matching body products are also available. This review is based on a (very well used and well loved) bottle of Beautiful from my own collection. Posted in Chypre, Estée Lauder, Feminine, Floral, Perfume Reviews and tagged Beautiful, Chypre, Estee Lauder, Feminine, Floral, Sophia Grojsman. Bookmark the permalink. As for your worries to do it justice, it is good to get your personal opinion including your emotions, no objectivity needed. Objective treatises are not why I read a blog. Oh dear, that is unfortunate! This review is spot-on which is unsurprising as you know it so well! Even though Beautiful is not for me, I still admire it. It IS so much more than its individual notes – creating out of them something brand new, abstract, cohesive and bold. I can totally understand your mother feeling decadant when wearing it and I like the way you describe as “euphoric in its beauty” So true! I think ‘cohesive’ is the perfect word for Beautiful, there is a lot going on but it all seems to fit together. They don’t make them like this anymore! Loved reading this… while I’m not a huge fan of this particular perfume (though love many others by EL) you make is sound so desirable! You have a wonderful way with words. I too love lots of Lauder scents, they have a great collection! Do try it again, I’d be very interested to hear what you think! Hello! What kind of bottle do you have (concentration, ml amount, year)? Simply I tried to find moss and patchouli in the base of Beautiful (EDP 75ml, 2011), but my attempt was a fiasco. I have a 30ml Eau de Parfum that is about two years old. I haven’t tried the 2011 version, although I’m under the impression that Lauder are good in terms of reformulations. I stumbled across this today while I was browsing reviews of Beautiful. This is a stunning review, and a great tribute to your mother and your relationship with her. Many people find it hard to wholeheartedly admire their mother’s perfume; many of us are ambivalent about it. I disliked Beautiful when it first came out but I fell for it about a year ago and now it is in regular rotation. Part of its great appeal for me is that it is so satisfying. Not comforting exactly, but satisfying. It is complete. Complex as it is, there is nothing there that is not needed. ‘Abstract, cohesive and bold’, as Tara puts it so aptly, above. I agree about the patchouli, moss and tobacco – those notes save the perfume from descending into a floral soup. Thanks again for a great read! Thanks for your kind words re the review. I totally get what you mean about the ambivalence towards a mother’s perfume. It’s something we’re so used to it’s hard to become excited or even objective about it. “Complete” is a perfect way to describe Beautiful. Beautiful is my scent. I try to move on to others, but I always come back to it. It’s the only one that seems “right” to me. I sometimes worry that it is “old” but I’ve decided that it is my scent, old or not. 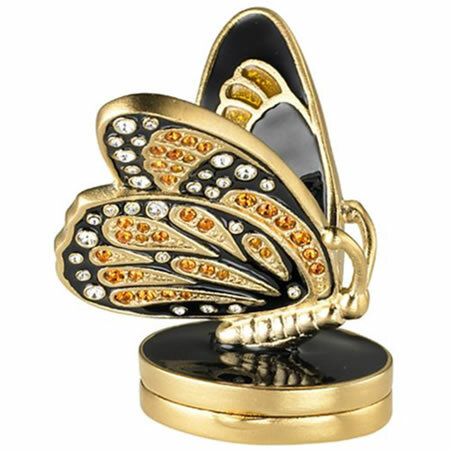 I have worn BEAUTIFUL since I was in my twenties, I used to try other scents but always returned to it. It suits me, perfumes react differently and one ends up with one’s own signature that cannot be imitated. It is subtle (I don’t use much) and people need to be quite close to smell it. I do get compliments then! I have worn Beautiful for over 30YRS!! And when I sent my husband to pick-up a new btl. for my birthday~ waiting to get a spritz,the scent was SOOO WRONG! Totally disappointed I took it back and even the fragrance rep, thought it had changed remarkably, VERY DISAPPOINTED. WHY would Estee Lauder change a “CLASSIC” fragrance?? IGNORANT in my opinion. It’s always disappointing when a brand changes a formula. They can do so for many reasons, specifically the cost or availability of certain materials or because of EU restrictions on materials. On the whole Lauder has been very respectful of their fragrances and many have stood the test of time very well. I haven’t sniffed a recent bottle of Beautiful but I will now that you’ve mentioned that there has been changes. It’s sad if this is the case! I’ve not been able to compare the current and vintage formulations, but I’m not surprised to hear it has changed. Such is the way of the industry, I’m afraid. Sorry to hear that it’s not what it used to be!